Ian Rush believes the next month is pivotal to Liverpool's hopes of fighting on two fronts and ending Jurgen Klopp's wait for a trophy at Anfield. Liverpool visit Paris St Germain on Wednesday with their hopes of making the last 16 of the Champions League very much in the balance. Klopp's side then play eight games in December, including Sunday's Merseyside derby against Everton, further home games against Manchester United and Arsenal, and a potentially-decisive Champions League clash with Napoli. After that, Liverpool start 2019 by travelling to Premier League champions Manchester City on January 3 for a game that could determine the shape of the title race. "It's one hell of a month and after it we'll know where we stand," said Rush, a Liverpool club ambassador and the Reds' record scorer with 346 goals between 1980 and 1996. "That's where we'll need our squad players if we're going to be successful. "I looked at our bench against Fulham the other week and it looked really strong. "There were some great players on the bench and I think that's the difference from last season. We've got players that can come on and win games now." Unbeaten Liverpool have made their best start to a Premier League campaign with 33 points from 13 games, yet still trail leaders City by two points. But their form in Europe has been patchy, and last season's Champions League finalists have lost group games away to Napoli and Red Star Belgrade. "We did enough at Napoli but they scored in the last minute," Rush told Press Association Sport at the 2018 Football Association of Wales and McDonald's grassroots football awards in Cardiff. "Maybe we underestimated Red Star a little bit. "Paris St Germain need to beat Liverpool but it could come down to the Napoli game, that's like a final now and the atmosphere will be electric at Anfield. "I'd like to see us progress in the Champions League and still put Man City under pressure in the Premier League. "Last season it was too easy for them. This time if they lose a game we need to be there to overtake them." 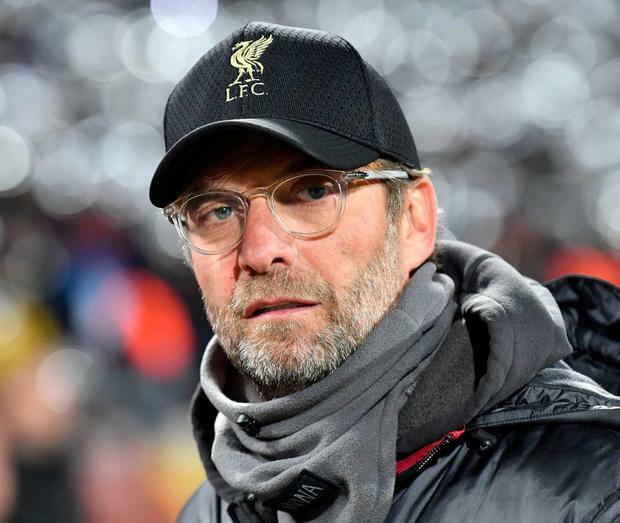 Former Liverpool striker John Toshack said this week that Klopp's future at Liverpool could not be guaranteed unless he wins a trophy this season. Rush, however, does not see it that way, saying of the German manager: "He said three years (to win a trophy) and he's in his third year now. "But if he leaves who are you going to get? "Everyone loves him, the supporters love him, and there's no better manager in my book. "We need to see progression, and last year we were looking at the top four. This year we're looking at the top two, so we are progressing with him."